I’m just going to say it. 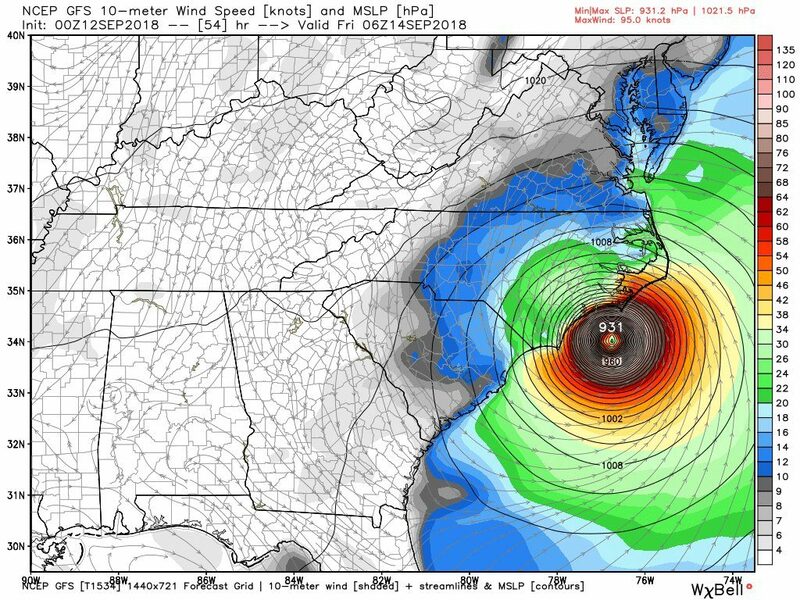 The NWS is calling #Florence “the storm of a lifetime”. If you live on the NC/SC coast, tomorrow is your last chance to leave. Go. Please. Guys, please, do not mess with this storm. If you have loved ones there, call them now. Of course the wider point is that we all need to consider how we can begin to brace ourselves from the shocks and challenges we know are coming our way. It is not just an ecological storm from climate change but an economic storm that is heading our way. For those of us who dont wan to put our heads in the sand and want to build responses to the inevitable storm that is coming then I think we should talk. I cant but help think we really ought to be talking about this a whole lot more and the this is the central proposition for the One School One Planet project. Education must prepare the next generation to better to help them deal with new realities. One School One Planet is a three year project investigating our community response to the unfolding ecological crisis that is climate change. Inaction at the highest levels of Government and commerce and banking put a huge emphasis on the grass roots to set and lead on the climate change response agenda. One School One Planet produced this short video almost exactly a year ago when a similar once in a 1000 year storm had just hit Houston Texas now as we wait to hear of news of Florence hitting this year it seems more relevant than ever. Short and to the point the 1.27 second video outlines the scale of the challenge that we face and a clear and easy to understand way. 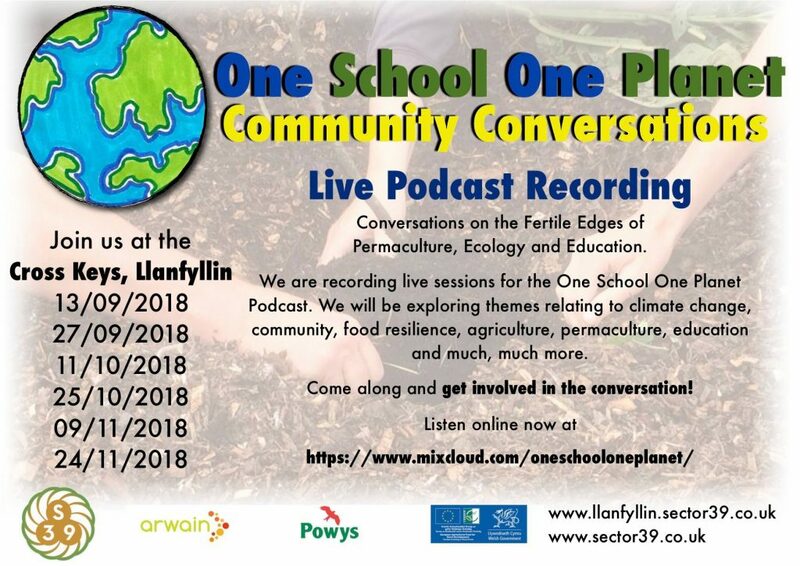 The One School One Planet Podcast is an investigation of the fertile edges and new creativity that must be bought about as a result of the need for us all to adapt, evolve and grow to formulate and action meaningful responses that will get us through this. Please come and take part if you can or if not tune from where ever you. This Thursday!